To provide safe housing and supportive services to women experiencing homelessness in order to equip and empower them towards a healthy life style and self sufficiency. We are committed to help stop this reoccurring cycle. Women of Hope invites organizations that share in this mission to partner with us in supporting the homeless women and children in our communities. Sheila Locatelli is a native Clevelander and began her journey approximately 17 years ago. She has mentored women, coached and facilitated self-development classes for dozens of women with a diversity of age and background. Many of the women often had challenges transitioning themselves into society after “life situations” left them feeling hopeless. Sheila’s sincerity, dedication, time, and efforts are works proven daily. “I will continue to work diligently towards our mission to “mentor women in transition, offer encouragement, and provide support services and development programs”. 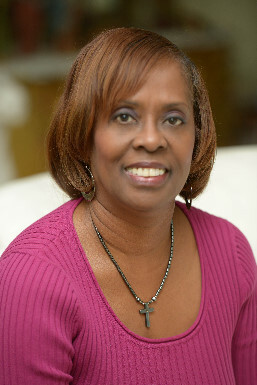 As a member, facilitator and coach of small groups at New Community Bible Fellowship in Cleveland Heights, Sheila found confirmation about her passion to assist women who have a need to be empowered to sustain a healthy lifestyle. Sheila knows that hope is a “commodity” in many lives of the homeless, but believes that having “Hope” that change can and will happen in their lives is absolutely necessary and possible. Women of Hope continues to expand relationships with community providers and supporters as we equip those in transition. But we can’t keep moving forward without your help. Visit us often to see how your support keeps us moving forward.